Being located in South-West England, Frome is actually within easy reach of many truly wonderful towns and cities, where attractions range from shopping centres and heritage markets, to historic buildings, interesting museums and even seaside amusements. It is certainly easier to get out and about if you have your own car to drive, although a combination of buses and trains generally connect the main nearby places of interest. A trip to Bath is a real must and this ancient Georgian city is perfect for day trips, being less than 30 minutes from Frome and coming with Roman Baths, the regenerated Southgate shopping centre and the famous Royal Crescent. 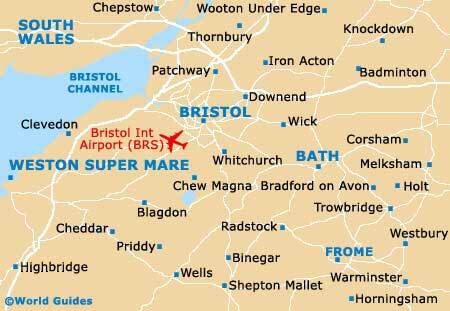 A little further afield is the city of Bristol, where its zoological gardens, Clifton Suspension Bridge, SS Great Britain and Hippodrome are just some of the many attractions on offer, with Weston Super Mare being something of an outlying seaside suburb, located next to the Bristol Channel. The city of Salisbury is roughly a 45-minute drive from Frome and boasts an enormous cathedral, with its towering spire visible from literally miles away. Stonehenge is a must-see on Salisbury Plain and this ancient circle of stones remains quite the enigma, although most visitors leave convinced that it has strong connections to the sun. If you fancy an excursion to the beach, then a number of appealing seaside towns are within comfortable driving distance of Frome. Bournemouth, Poole and Lyme Regis are all around one and a half hours away, and each of these towns feature extensive beachfronts and many related coastal attractions. Bournemouth is known for its golden sands, lengthy pier and Victorian-style gardens, while Poole is home to a large quay and offers regular boat trips to the National Trust's Brownsea Island, where wild red squirrels thrive. Lyme Regis is famed for its wealth of fossils, with many large ammonites being clearly visible on the beach itself. An excursion to Swanage is often popular with locals in Frome and this town is around one hour and 45 minutes away by car. The long sandy beachfront of Swanage is the main tourist magnet, with a number of fish and chip shops, ice cream kiosks, amusements and pedalo boats all creating a traditional seaside atmosphere. Nearby, the remains of Corfe Castle are still quite a sight, being constructed at the request of William the Conqueror. Portsmouth is roughly two hours away and features a rich maritime heritage, with the HMS Victory being its star attraction. From Portsmouth, frequent hovercrafts connect the Isle of Wight in under ten minutes. Built in the late 14th-century, the stunning French-style Nunney Castle is situated in the adjoining village of Nunney, on the outskirts of Frome. Much of the castle remains intact and has recently been restored, although the north wall is still badly damaged following the Civil War attack by Cromwell's troops, causing it to finally collapse in 1910. Owned by the National Trust, Cley Hill is situated between Frome and Warminster, and is an important nature conservation area. At the top of this imposing hill are spectacular views of the surrounding countryside. Situated in the small village of Westbury, 14 miles / 9 km from Frome, Westbury White Horse is carved into the chalky side of a large hill. This historic landmark dates back to the 18th century and the very top of the hill provides an excellent place for flying kites and hang-gliding. Further possibilities for day trips from Frome include Burrington Combe, Cheddar Gorge, Chew Valley Lake, Dyrham Park and Bowood Gardens, which is a perfect family attraction on a sunny day, with its beautiful landscaped grounds, enormous adventure playground and wooden pirate ship being highlights. Close to Melksham, the village of Lacock is about as historic as they come and Lacock Abbey was in fact used twice as a film location in the Harry Potter movies. No longer a wildlife park as such and now owned by Warner Leisure, Cricket St. Thomas Lakes and Gardens has chosen to go back to its roots, restoring much of the estate to landscaped gardens based around a series of lakes, although there are still a few remnants of its former life onsite, such as the train rides. The park is to be found some 69 km / 43 miles to the south-west and is easy to reach by car, being just over an hour's drive away. Look out for the Manor House as you leave, since you may well recognise it from the BBC TV situation-comedy, 'To the Manor Born'. The hotel and grounds are for adults only.